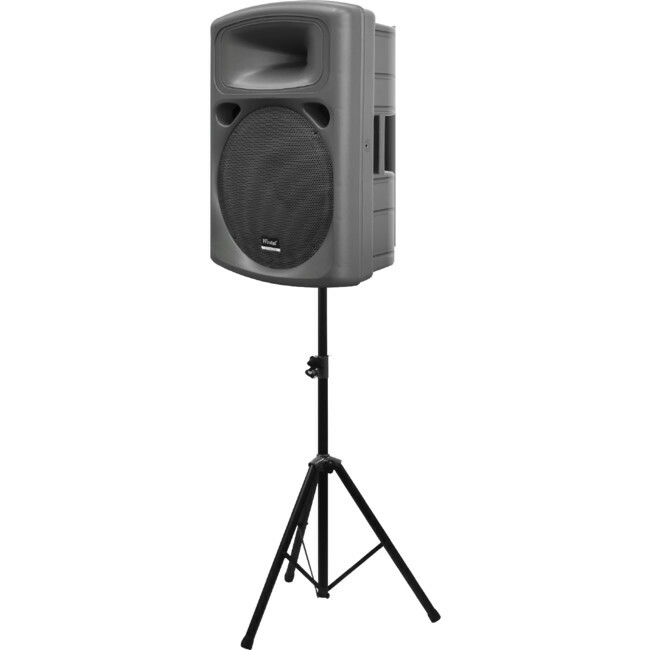 The Stadium12A weighs~20kg with a huge 200W RMS and High SPL, this is the ideal party speaker! Finished in matt black with three steel legs each tipped with rugged rubber feet that ensure non-slip support. A safety stopper pin inserted into extension shaft ensures heavy loads do not slide down. Can support equipment up to 60Kgs in weight.